The Gulf Centre for Human Rights (GCHR) calls on the Bahrain authorities to put an end to the pattern of judicial harassment against two of Bahrain's most prominent women human rights defenders, Zainab Al-Khawaja and Ghada Jamsheer. The two women face prison after several sentences were confirmed over the past few months. Today, on 3 December 2015, Zainab Al-Khawaja lost her right to appeal in three cases that were heard in court, so sentences totalling 16 months were automatically upheld, after she and her lawyer boycotted the court sessions. Two charges of two-month sentences were first handed down on 9 December 2014 for “destroying public property” when she ripped a picture of the King at Budaiyah police station, as well as a charge of allegedly “insulting a public official” (a police officer) for which she was sentenced to one year in prison. On 17 November, Al-Khawaja was also in court to hear the appeal of a nine-month sentence for entering a restricted area at Jaw Prison while seeking to visit her father prominent human rights defender Abdulhadi Al-Khawaja in prison when he was on hunger strike in August 2014. Another case of insulting a public official, for which she was sentenced to six months, was also heard on 17 November. Her case was postponed to 2 February 2016, to inform her that she has to attend the court; as she wasn't in the court and her lawyer has withdrawn from the case. She was released on bail of US$1325 from prison in November 2014 just prior to giving birth to her son Abdulhadi. She also has a six-year-old daughter, Jude. 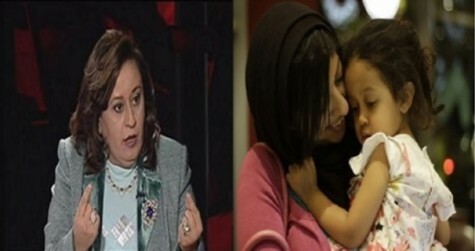 Meanwhile women’s rights defender Ghada Jamsheer has been in court several times over the past few months as well, with 12 cases against her ongoing. On 5 May 2015, Jamsheer was sentenced to one year in prison (suspended for three years) for allegedly “assaulting a police officer” when she was detained in September 2014. On 29 October 2015, the High Criminal Court of Appeal refused the request to appeal filed by Jamsheer and adjourned the hearing to 26 November, when the verdict was confirmed. However, the case should have been tried as a misdemeanor and not a felony. Jamsheer was accused of kicking an officer and a police woman with her feet, but the court refused to hear her request to be examined to determine whether she was capable of kicking the alleged victims. Jamsheer’s lawyer also requested that Interior Minister Rashid Abdullah al-Khalifa and Inspector General of the Ministry of Interior Major General Ibrahim Al-Ghaith be called for questioning in connection with Jamsheer’s complaint about mismanagement and treatment inside the prison. This request was also refused by the Court. On 1 October 2015, the Second Lower Criminal Court held its first hearing against Jamsheer on a new charge of “verbal and physical confrontation with a police woman,” which allegedly also occurred while she was in detention in September 2014. The hearing was adjourned to 11 November 2015, and then again to 28 December 2015. Release all human rights defenders in Bahrain immediately and ensure their protection from any harassment, torture, and persecution in relation to their peaceful human rights activities.